Sky Lacroux has finally realized her dream and opened her own tattoo shop in Provincetown, Massachusetts. She's happy as can be, preparing the shop for its grand opening and renting a cottage in the Seaside community while renovations to her new apartment are being completed. The only thing missing is the one thing she longs for, and has no control over--love. Sawyer Bass, a professional boxer, plays his guitar at a local bar to escape the painful reality of his father's deteriorating health and a recent health warning of his own. But when he spots a stunning brunette across the room, escaping reality goes out the window, and the beautiful woman becomes the focus of his next song--and maybe even the rest of his life. Andres “Rio” Rivera became his ICE profile years ago. Cold and calculating, he never promises anything beyond right now. 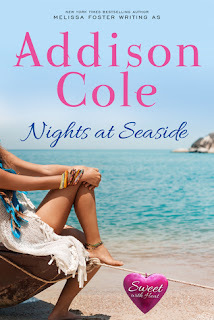 But when he ends up with a cancelled flight and a shared hotel room with the secretive Celeste Patron, the fire behind Celeste’s buttoned-up exterior melts every barrier. He may only have her for one night, but that’s long enough to make her every fantasy come true. When Celeste leaves, Rio returns to hunting a notorious cartel leader. His shock upon arresting the man is eclipsed when he discovers the woman he fell for is his daughter…and she’s pregnant with Rio’s baby. Hope is beautiful, successful and humiliated. After walking in on her boyfriend with someone else, and working endless hours to forget, she escapes to her family lake house in Vermont. Gage is handsome, rugged, and an ex-marine. He’s in Vermont to photograph a friend’s wedding and now that it’s over, all he wants is to get back home to New York City. A chance encounter leaves them stranded, igniting into a night of passion. Neither of them are looking for love, but after deciding to spend the weekend together, that’s exactly what they both fall into. Until she offers him a ride back to the city and he discovers who her family is. Until she learns the one secret both men in her life tried to hide. Until the one man she knew best becomes a stranger. How does she pick up the pieces and keep herself from losing hope? 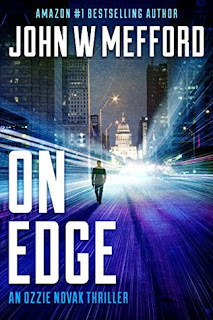 Twenty-eight-year-old Ozzie Novak, while shaken to the core, refuses to acknowledge his father's death as accidental. And while his wife's bizarre transformation has rocked his very foundation, he only knows one way to move forward: he must find out who killed his father and why. Bullets fly and Ozzie's life is hanging in the balance. 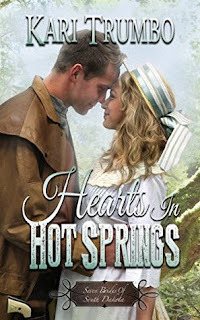 Bravely forging ahead in a world dominated by men, Nora Arnsby follows her dreams to Hot Springs, South Dakota. When a break-in shatters the sense of home she's created, Nora can’t find her footing. With the intruders growing bolder and her safety at risk, she reaches out to the only person who will listen, the handsome and persistently kind stranger across the street. Nursing a broken heart and equally shattered dreams, Mathias Horton refuses to let any woman get close to him. However, he can't stand to see anyone in need - especially the pretty newcomer across the street. Her spirit, determination, and bright blue eyes compel him to do what he can to help her…protect her. But the more he helps her, the more he begins to care for her.